Hey all. 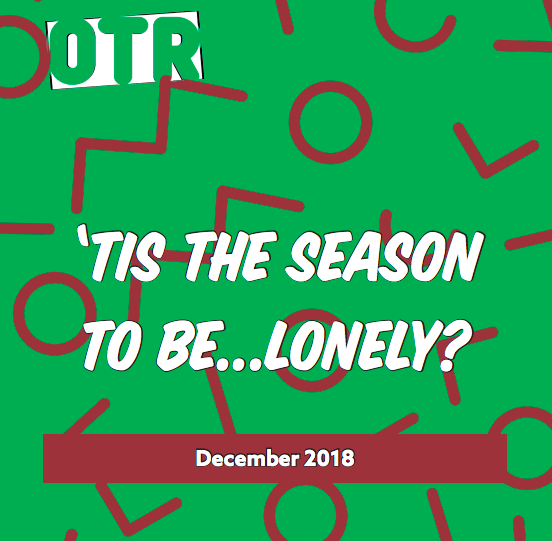 OTR takes a bit of downtime over the Christmas / Holiday period and we wanted to give you the details so you know when we’re available. Our last Hub of 2018 will be Wednesday the 19th December, and they will start up in the new year again from Wednesday 2nd January. OTR will be closed from the 21st December and return to normal on 2nd January 2019. This includes all counselling services, groups and projects. For our LGBTQ+ project Freedom, check back to the Facebook page for updates on sessions in the new year. Here’s a more extensive list of services and their availability over the holidays.